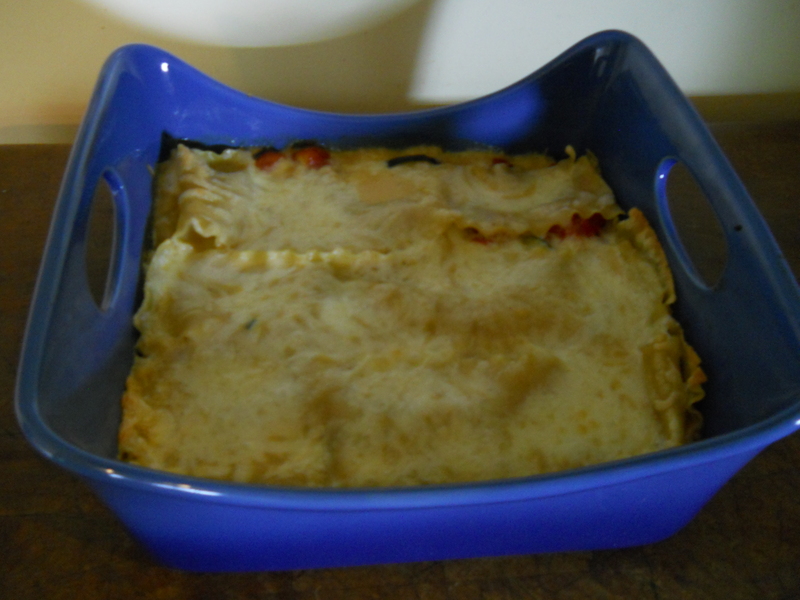 I decided to use the squash from Matt, for a veggie lasagna. I roasted the squash with some shallots . The recipe also called for two pints of grape tomatoes , roasted. That is the extent of the veggies. The recipe is from Cooking Light , May 2012. It is a little complicated because you make a white sauce with chicken broth, flour & a bit of heavy cream. 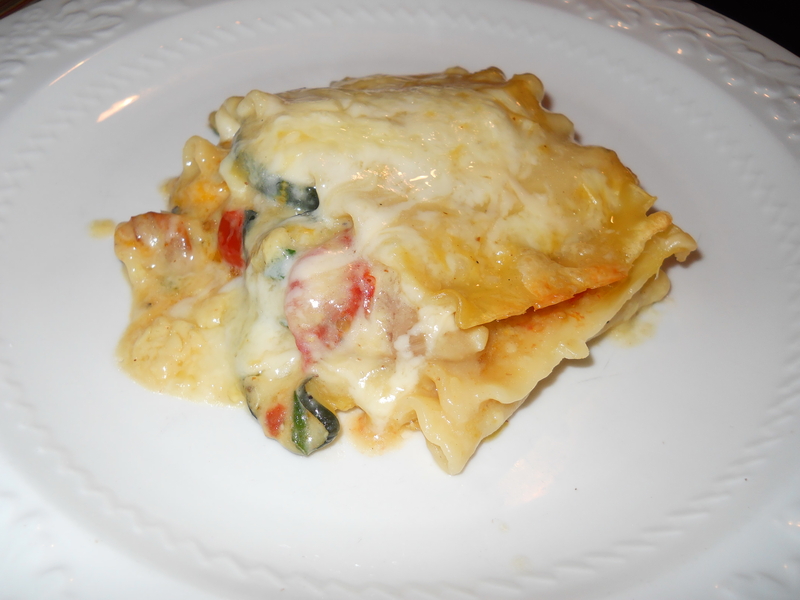 The cheese that topped the lasagna was Fontina. I use this cheese instead of parm. or mozz. sometimes. It melts wonderfully. I also very much love my Rachael Ray casserole dishes from QVC!! Aren’t they pretty? From the oven to the table! This entry was posted in General on July 21, 2012 by andrewsbeth. Looks wonderful and actually I do like the cookware it seems to have man size handles, hard to find in most dishes. Thanks Ray Ray. I know what to get a certain somebody for Christmas now, Thanks Kim! !